A 25-year-old woman is nursing serious injuries after she was attacked by a hyena while answering a call of nature on Monday night on the Nairobi-Mombasa highway. Police in Kibwezi, Makueni suspect that the woman alighted from a truck and while relieving herself, she was attacked and lost her left eye. 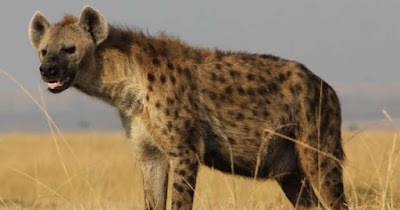 A police incident report at Mtito Andei police station says that police officers who were on patrol at Tsavo National Park, along Mombasa Road on Monday night, heard loud screams of a human being emanating from nearby bushes. The officers stopped to check what was happening and found the woman writhing in pain. They rushed her to Makindu Hospital where she was admitted in serious condition and her relatives informed. Police are investigating to establish who left her there in the middle if the night. They suspect the truck crew, who had given her a lift to Mombasa, may have fled after hearing her screams.